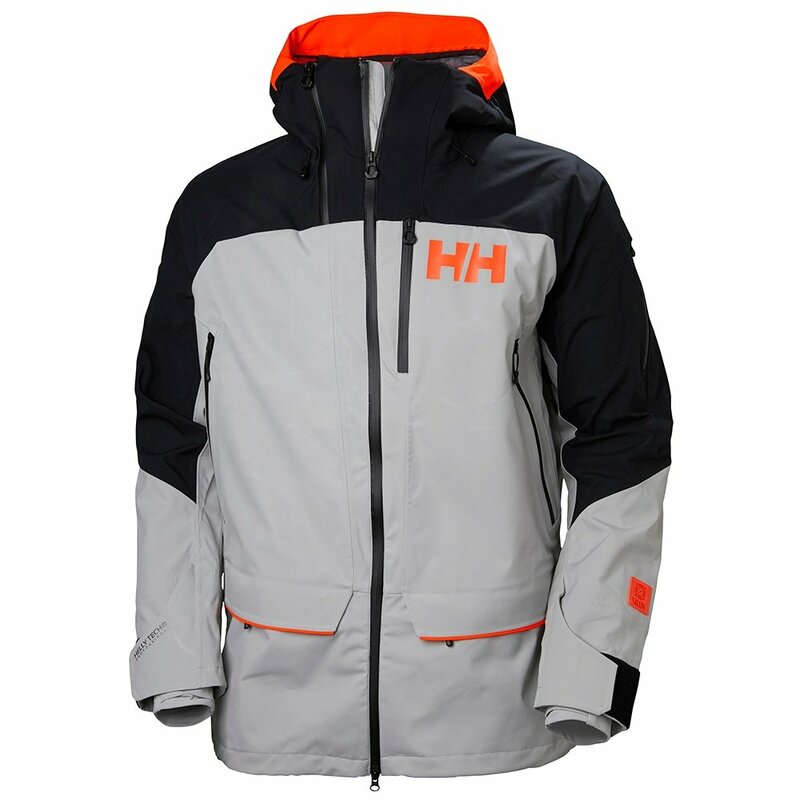 Part of Helly Hansen's ULLR™ collection, the Helly Hansen Ridge 2.0 Shell Ski Jacket is developed by freeskiers, for freeskiers. With R&D and feedback from the pros at its back, Helly developed a high-performance jacket engineered for powder adventure. It all starts with 20K-waterproof Helly Tech® Professional waterproof-breathable fabric. A ventilation system provides cooling should things get stuffy. Helly helps you manage device battery life with a high-tech Life Pocket+™, insulating your phone or action cam with aerogel. The Helly Hansen Ridge 2.0 Shell Ski Jacket has you all dialed - now drop in and take first tracks before someone beats you to it.